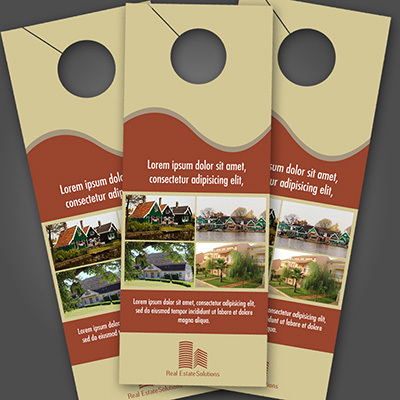 Door Hangers printed on 14pt Uncoated Card Stock with an overall Dull Matte Finish. 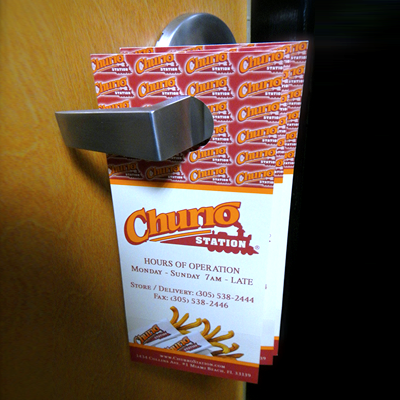 Printed in Full Color on 14pt Uncoated cardstock. Available as Dull Matte Finish Only. 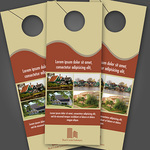 14pt Dull Matte Door Hangers: When you really want to drive your message home, consider our 14pt Matte Door Hangers. 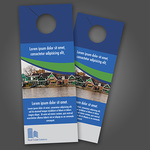 Printed in full, captivating color on 14pt uncoated cardstock, these door hangers make sure your message gets into the hands—and homes—of your customers. In addition, pre-punched holes allow you to maximize your efficiency and minimize your time spent going door-to-door. 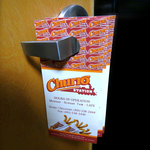 Our 14pt Matte Door Hangers come in quantities of 250, 500, 1000, 2500, and 5000 with your choice of arch, standard, or starburst die cuts. Uncoated Card Stock is when no coating is applied to the printed piece, leaving the natural Dull Matte Finish of our premium 14pt cardstock. 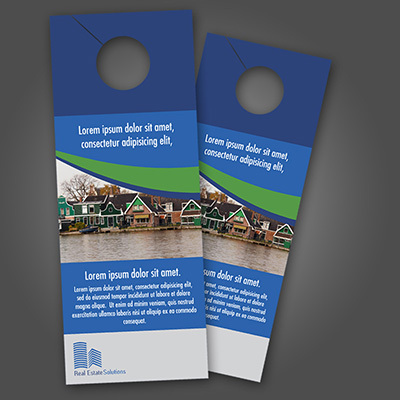 We recommend that you choose the Dull Matte Finish option if you intend to write on or affix stamps or labels to your printed materials, or if you do not wish to have an extra shiny coat on your final printed pieces.